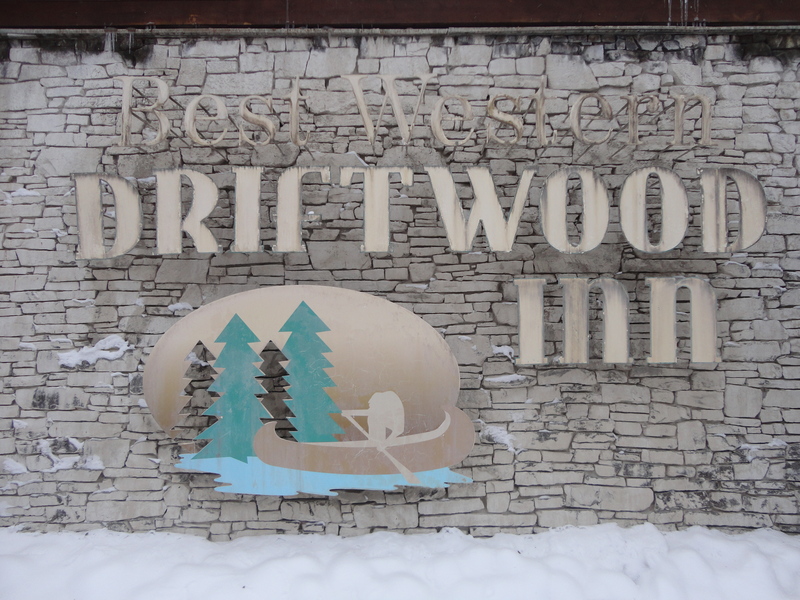 Our family spent a night in Suite #93 at the Best Western Driftwood. 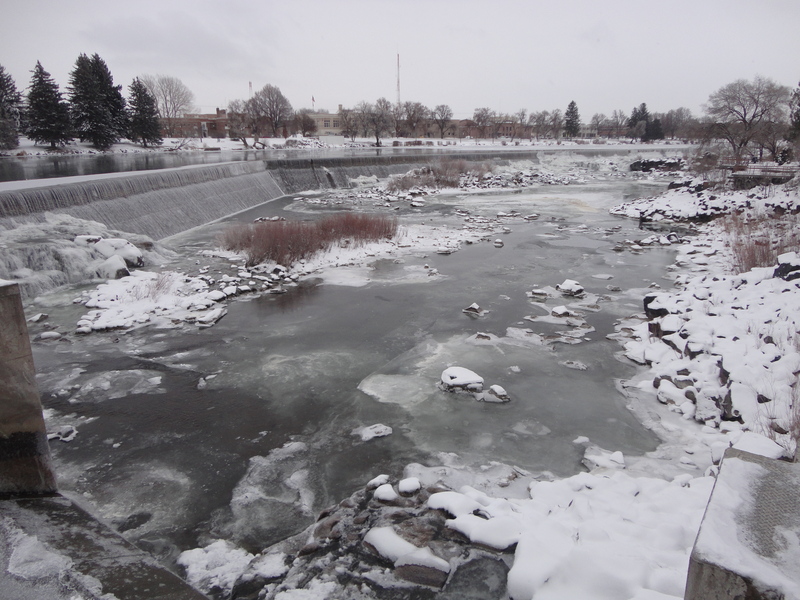 It’s a great price – the best bang for the buck that I have seen on the Idaho Falls greenbelt. Soup, cookies, and complimentary newspapers were in the front foyer. A gas fireplace provided a cozy, warm atmosphere. Our suite sat on the second floor above the Jacuzzi and exercise rooms. 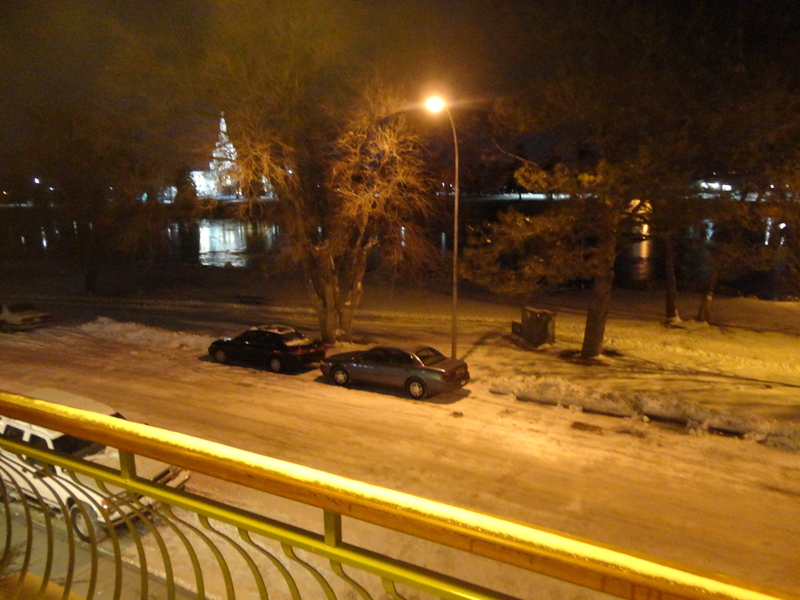 Windows opened up to small balcony spaces overlooking the West bank of the Snake River. Evening light . . . Morning frost . . . 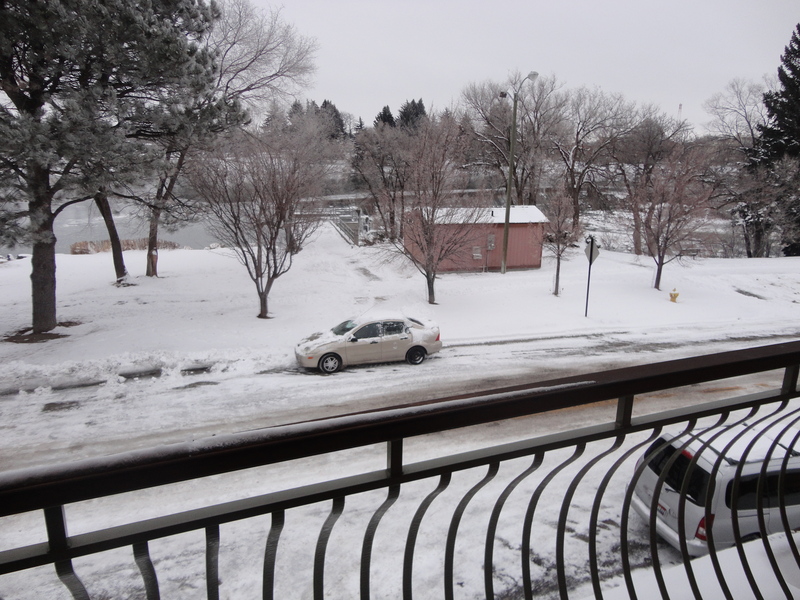 This is a closer look at the falls across the street. After a jog on the treadmill and a soak in the hot tub, we enjoyed a stellar breakfast. 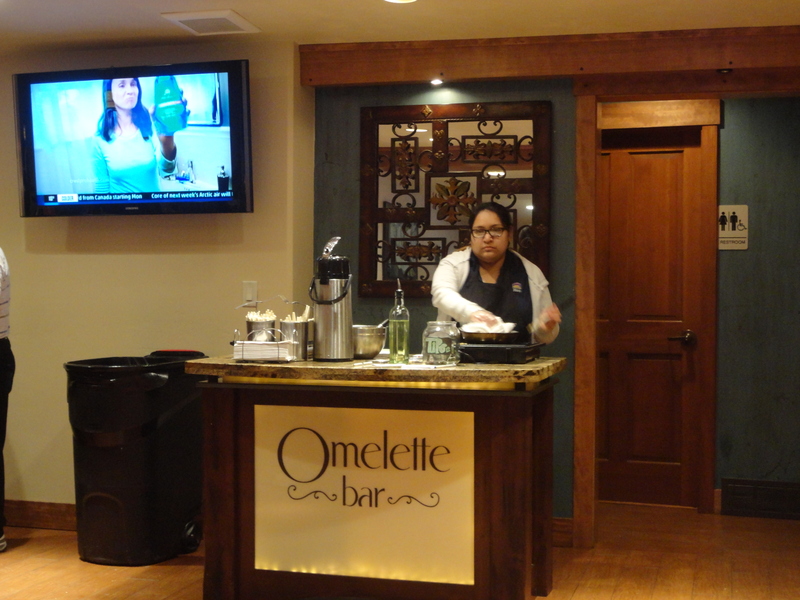 Guests can custom order their own omelettes. Thank you to the Best Western staff for an enjoyable overnight get-away. 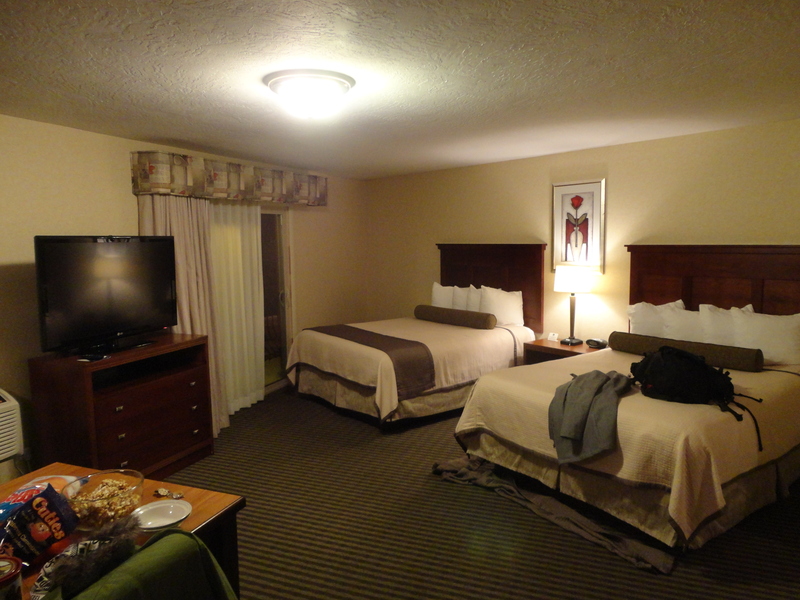 This entry was posted in reviews and tagged Best Western, breakfast, Idaho Falls, Snake River, suite. Bookmark the permalink.